Best Long Hiking Trails: What Are You Looking For? Some of these trails are only well known regionally, like Wonderland Trail around Mt. Rainier in Washington State. Or it could be an exhaustive (small long trail hiking joke) list of U.S. long trails, like this one. Note that "long trail" is defined on this list as any trail over 100 miles (~161 km). That's not A Real Rule in the hiking world, just a guideline. Why not consider the best long hiking trails in the world!! You can follow all of those links for choosing the best long hiking trails, but before you do, you might want to take a moment to consider why you want to hike a long distance hiking trail. Because your motivation(s) will shape the type of long distance hike you will experience. And influence your chance of accomplishing your goals. Hikers throw themselves into the adventure of long trail hiking for various reasons. All of the reasons make good sense while sitting in the comfort of your favorite chair, looking at the squiggly lines on a map and dreaming of perfect weather. But the reality is a lot tougher. Not every hiker who begins a long trail hike will complete it. To be a successful thruhiker takes mental as well as physical toughness. After decades of observation, I've noticed that long trail hikers come in various "flavors". The goal oriented achiever: Set a goal, meet the goal. The record breaker: Do it faster, lighter, or some other "-er". 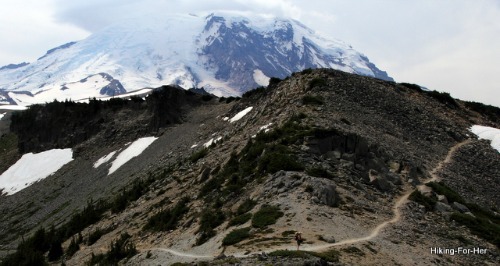 The bored hiker: You've done lots of hikes, but are yearning for new vistas. The "go along for the ride" hiker: Someone you know and/or love is doing the trail, and you got invited to go along. The dreamer: Wouldn't it be great if?? The midlife crisis hiker: Life is short, hiking trails are long. Make the most of it! The "I'm in love" hiker: Your significant other wants to do a long trail? Of course you want to! The thrill seeker: Hiking through a forest fire or a thunder storm? Sweet! The Zen hiker: Do the trail as a walking meditation. The escaper: A big problem or hurt is weighing you down, and you need to slip out of the confines of daily life to solve, or at least acknowledge, it. The scientist: Keep track of what works, what works the best, and how to tweak your gear, food and mileage for optimal results. The "gotta prove something" hiker: You say I can't do this, so I'm going to! The Blow Up Your Life hiker: Quit your job, sublease your apartment, bring the dog or kids to your mom's house, and go for it. The solo hiker: Three or four months of hiking alone sounds like heaven. The lost but searching hiker: Maybe a long trail will show you what to do next in life. The "my identity is a long trail hiker" hiker: The Triple Crown hikers are in this category, completing The Big 3 (AT, PCT, CDT) and yearning for more. The adventurist: Nature is my big backyard. Let the adventure begin. The budding writer: Hike, blog, turn it into a book! Then a movie!! The explorer: Go to another country and see how things are done while seeing some outdoor sights. 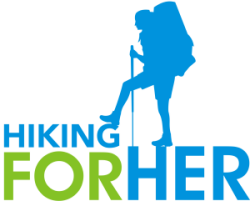 The fund-raiser: Hiking is a mechanism to get attention, and cash, for a favorite cause. So who did I miss? Be sure to drop me a line and I'll add to my list. Here's a better question for you. Did you recognize yourself in any of these long trail hikers? Your motivation dictates the planning of your trip, as well as your well being while on the long trail. The best long hiking trails are well documented in terms of mileage, terrain, access and egress points, and other important features. Who will be doing all of the planning? If you leave it to others, be sure they are trustworthy with your calories, shelter and navigation. If you do all of the planning yourself, don't skip any of the details in the spirit of kindness to your future self huddled under a wet tarp with a growling stomach. The motivation for doing long trail hiking isn't really discussed much, and should be. If you are "other" focused, drawing your motivation from your trail buddy or someone back home, it's going to be tough to keep going when things get dismal. And they will, trust me. It's inevitable that the long trail will demand its pound of flesh from you, in one way or another as you face extreme weather, insects, malnutrition, injury, dicey water crossings, animal encounters, heat, cold, and so many other ways to mess with a hiker's body and mind. Can you depend on your trail partners to survive all of this? What if they drop out, leaving you a solo thruhiker? Do you trust yourself to get through it all? If you're "self" focused, you are internally motivated to start the long distance hike, especially if you're going solo. And you are also responsible for keeping yourself safe, happy and pointed in the right direction, day after day. Does this sound like a nightmare, or a worthy challenge? It comes down to how much you've tested yourself already in the outdoors. If you're community focused, looking to build trail friendships and do good in the world, you will have lots of opportunity for this on the more popular long trails. But you might be frustrated on a less well known trail, because the media seems to define the best long hiking trails as the AT and PCT (sometimes the CDT) in the United States. Or the Camino in Europe. re-adjusting once you're off the trail and back to "normal" life. To gain even more clarity around why you are interested in a long trail, take a moment to answer these questions. Nobody is keeping score of your answer, so be honest with yourself. Take your time. Get to know yourself on a deeper level. What is your stamina and endurance right now? Will it be higher or lower on the day you begin the trail? Does your hiking gear locker hold everything you need, or will you have to add to it? Do you have intimate knowledge of backpacking gear, to the point of being able to use it on dark, stormy nights? Can you afford to make, borrow, or buy lightweight and dependable trail gear? How good are you at improvising when things break or things don't turn out as planned? Do you know how to provide simple first aid for yourself, such as doctoring a blister or removing splinters? Can you navigate without electronic devices? Do you have any phobias related to the trail? Can you commit months of preparation time, and weeks of time on the trail? Is everyone in your life supportive of this idea? How much backpacking experience have you racked up so far? What is your tolerance for pain and discomfort? How is your digestion? Can you handle weeks and weeks of trail food, interspersed with food binges off trail? Do you have pre-existing medical conditions that have to be managed safely amidst dirt, possible water deprivation, temperature extremes, physical exhausation and more? Can you handle the inevitable let down of completing the endurance event of a long trail, going back to your normal "civilized" routine? OK, enough with the questions. Hiker, know thyself before choosing the best long hiking trails for your personality, skill level and motivation. After considering all of the issues raised above, perhaps you need a Plan B. Or maybe you now realize that you don't have the luxury of all of the time, money and support along the trail that is required to complete a long trail all in one go. Clarity is a wonderful thing. And there are other enjoyable and challenging ways you can approach long hiking trails. You could section hike it in chunks. Get out the map, carve it into those chunks, put dates and years on the chunks, and go for it! One year at a time, the turtle wins the long hiking trail race. If you live near a long trail, you can start with day hikes and graduate to overnight trips and short backpacking trips until you've conquered the entire trail. This is a slower, saner approach to choosing the best long hiking trails, used by people with careers, mortgages, kids and other responsibilities that are a bit hard to ignore. And it's how I "completed" the Wonderland Trail around Mt. Rainier in Washington State, USA. There are some issues with long trail hiking that the thruhiker community might be reluctant to share with you. The fact is, this type of hiking is not for everyone. Here are 3 reasons I make this statement. I have stated many times that I am not, nor do I ever wish to be, a long distance hiking trail connoisseur. I found out early in my hiking career, on Isle Royale, that I am not mentally configured to blast through gorgeous places just to get to the next campsite to satisfy the calendar. In fact, leaving behind a photo op of a cavorting fox on a hillside of wild flowers, or the allure of a tumbling waterfall on a hot trail, makes me downright cranky. And being boxed into "must do" mileage brings out my inner rebel. So one of the issues that you might find with committing to hiking a long trail is the relentless need to keep moving on, leaving behind great scenery and chances for exploration. Or the guilt of taking a "zero day" if you're injured, sick, or just feel like putting your feet up. Another problem with long trail hiking is that you need to come off the trail to resupply yourself. Speaking only for myself, it would bug me no end to have to hitch hike into a town, hunt for a place to sleep and clean up, and hope that the post office had my next box of food, new socks, and favorite treats. It breaks up the rhythm of hiking, and as an "immersion" hiker, it's exactly that trail rhythm that I seek. For women hikers, there is a hazard lurking here: you are in close proximity to towns and roads, bringing you into contact with all sorts of people. Not all of them have your best interest at heart. Extra vigilance when hitchhiking, camping near roads, and interacting with strangers is required. Prudent decisions, not irrational choices. on the best long hiking trails! And finally, and very sad to say, some of the best long hiking trails in the United States are becoming seriously overcrowded. And now that the PCT is "trendy" (thanks for nothing, Hollywood), you'll have lots of company there, too. Anything you can do to keep trash and overuse damage to a minimum would be helpful to ensure our long trails are around for generations to come. And let's not be gloomy here. The flip side provides great news for hikers who love group hiking and camping situations. Many interesting friendships and life long trail buddies are cultivated during long trail hiking. And if you get into a tight spot, help will be sure to come along. the ones you actually hike! In the end, the best long hiking trails are the ones you actually commit to, and complete. Massive amounts of planning, supplies, time, money, and emotional energy will be invested in your outcome. And the sense of accomplishment will be palpable. You'll have earned bragging rights within the long trail community, and no one can ever take that away from you. Best wishes for the best long hiking trails journey of your life. Or maybe you've realized you're more of an overnighter.